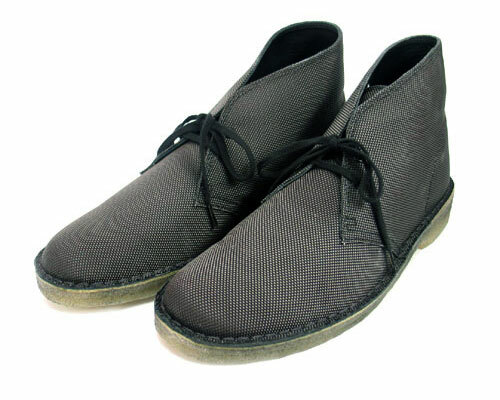 Although the day to day to workings of most individuals do not necessitate the need of shrapnel protection, legendary footwear makers Clarks has created a ballistic nylon version of their classic Desert Boots. This classic silhouette is complimented by the texturized black upper and crepe sole. Available now at C. Point. Japanese sneaker store and clothing label atmos has continued the trend of creating technical outerwear with the release of their new Shape Memory Jacket. The shell includes the use of gingham inserts along the sleeve and a mesh lining. Another release includes the Cross Check Shirt which offers a reinterpreted atmos version of the popular flannel style. Each design incorporates the use of a different plaid style for a portion of the chest and the breast pocket. Available now at atmos. To celebrate the 8th anniversary of SOPH.’s Tokyo location, a series of special items were created in partnership with various labels which are set to release at the beginning of next month. These items include a fragment design x SOPHNET. necktie, nonnative x SOPHNET. Straight Slacks, FCRB V x SOPHNET. Traditional Jacket, and two Carhartt x SOPHNET. Cashmere Knit Caps. Look for these items to debut on Friday, November 2nd. Japanese footwear label Ubiq has just launched some new models as part of their 2007 Fall/Winter Collection. The Bernadette and Braska both utilize a traditional hiking boot silhouette. The Braska includes a mid-cut suede upper which is met with a fleece sock with elastic pull cord which ensures a tight fit around the legs. The Bernadette is a low cut boot with an asymmetrical zipper running the length of the boot and a buckle and strap across. Both the Braska and Bernadette possess metal loops for lace holes. Look for these to release at the end of the month. Available at Flauge. Much of Nike SB’s October releases seem to have been overshadowed by the “What The Dunk” sneaker. The sneaker, something originally conceived as being fake was proved as legitimate with the debut of Nike SB’s big screen creation Nothing But The Truth. GOODS in Seattle recently received their shipment for October, which includes a “Deck” Dunk High, “Lebanon” Blazer, Air Zoom Tre and Air Classic SB. Check your local SB dealer for these arrivals. XLarge Japan has teamed up with the hit animated series Afro Samurai to create this limited edition t-shirt. Featuring Samuel L. Jackson as the lead character, the story revolves around Afro Samurai as he attempts to avenge his father’s death and become “Number One”. Each episode of Afro Samurai is rumored to run Japanese animated network GONZO 1 million dollars per episode, a record for the company. The t-shirts will release in late October, however they are currently available for pre-order. The price is set at ¥4,830 (approximately $41 USD). Original Fake has yielded a preview into their latest Halloween decoration. The black background showcases three fluorescents KAWS Companions each in a hanging skeletal form. Look for this decoration to appear at Original Fake and Original Fake dealers soon.